On The Media: Apple's Advertising Genius Steve Jobs, co-founder and CEO of Apple, died Wednesday at the age of 56. Jobs was a visionary who led the company through the invention of the iPod, iPhone and ipad. But Bob Garfield, co-host of WNYC's On The Media thinks he was something else as well: a liberator, and a brilliant advertiser. 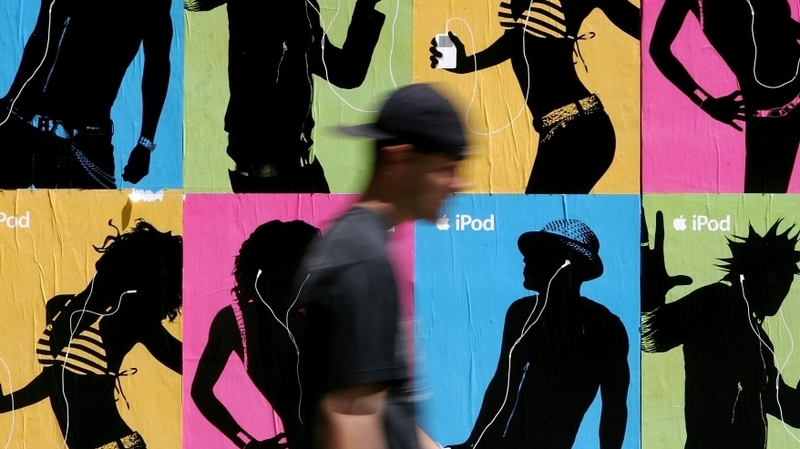 A pedestrian passes a wall covered with Apple iPod advertisements July 14, 2005 in San Francisco. This essay was originally posted at WNYC's On The Media blog. For the past almost 28 years, I have been calling "1984" the best commercial ever made. Not that this is a controversial position; Ridley Scott's Super Bowl tour de force is often so cited, because it so dramatically defined the new Macintosh computer and the entire Apple brand. The IBM PC was hardware for the masses of conformists and brainwashed drones; the new Mac was a tool of liberation for the heroically independent thinker. The message, in essence: Pick a side — you can be under the thrall of some hectoring, bellicose Big Brother, or you can join the partisan struggle with that chick in the track shorts and t-shirt. Perfect marketing that was. Sure, the commercial was breathtaking, but more important was the extraordinarily enduring us-against-them message. The result was the culting of the brand. People didn't buy Apple products; they bought into the Apple ethos. Even as the enemy morphed from IBM to Microsoft and now, increasingly, Google, Apple wasn't just a company. It was a movement. 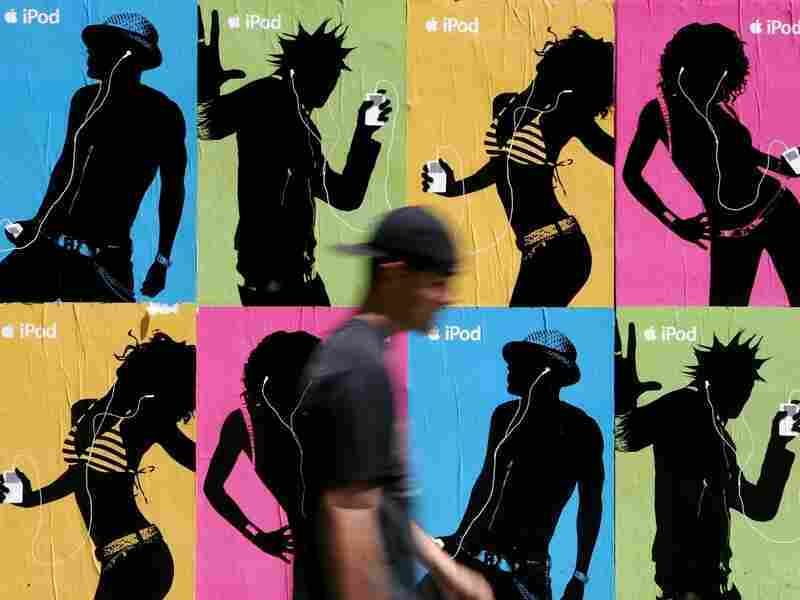 So, for all of the above reasons, I placed Apple on the shortlist of the greatest advertising campaigns ever, (along with Marlboro cigarettes, Absolut vodka, Nike, diamonds, Coca-Cola and Volkswagen). I have written endlessly on the subject and explained it to countless audiences for decades. But here's the strange thing: Until recently, I had failed to notice the central genius behind the Apple ethic. Not just shrewd, not just potent, but literally true. Yeah, so admirable was the advertising for understanding the iconoclastic psychology of the audience and for flattering random graphic designers as heroic subversives, I never noticed that the positioning was rooted in reality. Steve Jobs was a bona fide liberator. A revolutionary. A visonary leader. 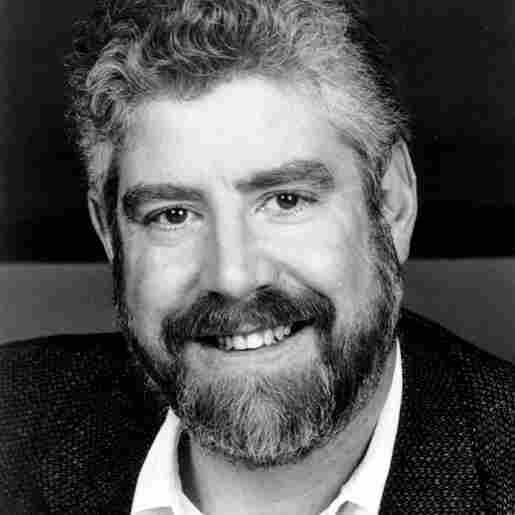 Bob Garfield is co-host of WNYC's On the Media. First, he liberated his customers from DOS. Then from Windows. Later he would use digital technology not to speed up and quicken cell animation, but to Pixar it into near irrelevance. Then, with the iPod, he consigned the recording industry and much of terrestrial radio into similar near oblivion. His iPhone revolutionized the handheld world and his iPad is only just beginning to alter publishing on a grand scale. And with each such effort, he pried the thumb of some Big Brother-like monopolist off our slavish selves. He wasn't merely a canny psychologist with an eye for design. He was Moses in a turtleneck. Back in 1985, when John Sculley and the Apple board basically fired Jobs from his own company, they were disgusted that he had lefts billions of dollars on the table. First, unlike IBM and Microsoft, Jobs had decided against licensing the Apple operating system to other manufacturers, thus discouraging outsiders from developing software apps, which in turn limited the brand's appeal beyond the aforementioned cultists. And he seemed uninterested in foreign markets, or any market that required him to cleave to market tastes. His was interested only in developing better stuff, and willing to cede 90 percent of the market to Big brother along the way. "It's not the consumer's job to know what they want," he famously asserted. But then, lo and behold, the market caught up with his vision. In succession, the Mac and Pixar, iPod and iPhone were so disruptive to the status quo that they attracted consumer desire far beyond the core Apple diehard. The consumer didn't know what she wanted, but she knew it when she saw it. And she used it, like the babe with the track-and-field hammer in the "1984" spot, to send Big Brother up in smoke. Well, it's hard to imagine what then.